At Computex 2015, AMD revealed a prototype FreeSync panel that aims to squash one of the most notable limitations of variable refresh monitors: their reliance on DisplayPort technology. Variable refresh rate monitors force the panels to refresh their image in concert with your PC’s graphics card, eliminating the pesky problems of screen tearing and image stuttering. In practice, the effect is nothing short of amazing: Games look buttery smooth even if they aren’t running at the vaunted 60 frames per second PC gamers adore. But both Nvidia G-Sync monitors and AMD FreeSync monitors—the companies’ respective brands for variable refresh rate technology—work their magic only when the visual signal is sent via DisplayPort. In fact, AMD’s FreeSync is an open technology built atop the DisplayPort 1.2a Adaptive Sync standard. Now, it seems the company wants to do the same to bring variable refresh technology to HDMI. Ugh screen tearing. VRR G-Sync and FreeSync monitors eliminate the nastiness. AMD revealed a prototype monitor running FreeSync over HDMI at Computex on Wednesday, AnandTech reports, powered by a Radeon R9 200 graphics card (likely the R9 290X) inside the PC and a non-custom Realtek TCON controller inside the monitor. The setup required custom drivers from AMD and custom firmware from Realtek, however, because FreeSync obviously isn’t built into the HDMI protocol… yet. 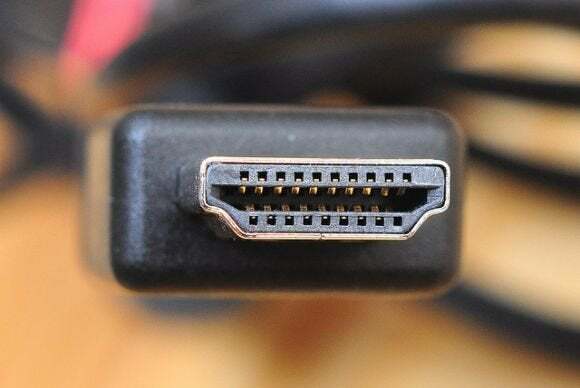 AMD’s end goal is to introduce variable refresh rate technology as a standard in HDMI, much as it helped push Adaptive Sync into DisplayPort, AnandTech reports. The impact on you at home: Nothing yet. 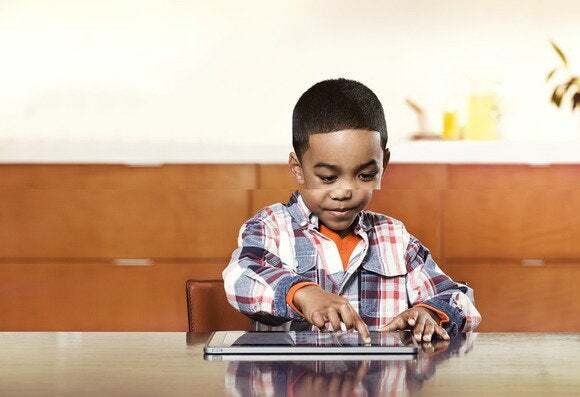 But if AMD manages to get variable refresh rate technology baked into HDMI, that opens the door for the utterly wondrous technology to appear in lower-cost displays. DisplayPort’s typically found on higher-end gaming-focused monitors, while HDMI is ubiquitous. And gamers rocking lower-cost displays are also more likely to rock more modest- to mainstream-level graphics cards—a setup where VRR’s frame rate smoothing can potentially have a huge effect. Beyond reveling in what may happen in the future, AMD also revealed something concrete: a bevy of new FreeSync monitors. Asus announced a pair of Republic of Gamer-branded displays—the MG279Q and MG278Q—but the Nixeus NX-Vue24 was the most notable of the bunch. Not because of its screen technology, and not because of any fancy features, but because of its supported refresh rate. The variable refresh rate technology inside FreeSync and G-Sync monitors only work within predefined refresh rate windows. If your frame rate drops below the minimum, or shoots above the maximum, the benefits of the technology are lost. That’s been a problem for FreeSync monitors, as most of the models released thus far have fairly high minimum refresh rates, around 40 to 48 frames per second—limiting the usefulness of the technology for gamers using more modest hardware. The NX-Vue24 supports a refresh rate from 30Hz all the way up to 144Hz, so the oh-so-yummy FreeSync smoothness will be enabled no matter whether you’re barely squeaking playable frame rates out of a game or pushing it to face-blistering speeds. AMD’s needed a panel like this badly since FreeSync’s launch. Nvidia’s G-Sync monitors, on the other hand, don’t have a minimum refresh rate (though they still have a maximum). If your graphics card starts pumping out frames at perilously low rates, Nvidia’s proprietary G-Sync module will double or triple frames to keep things looking smooth. You can read about some of the finer points of G-Sync’s implementation in our recent look at G-Sync for laptops—a technology AMD doesn’t have a rival for yet.